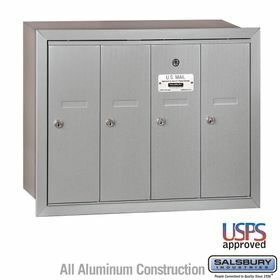 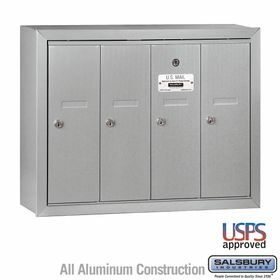 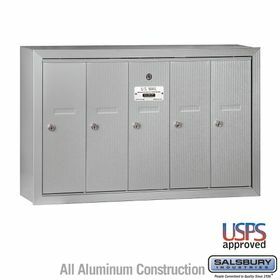 Salsbury Vertical Mailboxes are USPS approved and are available in either Surface or Recessed Mount options. Typically used for replacement purposes only, we strongly advise you contact your local post office for approval. 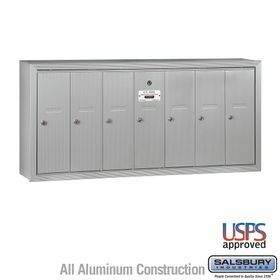 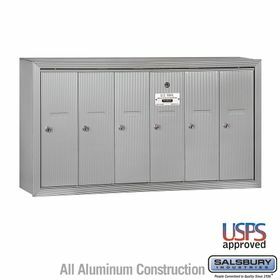 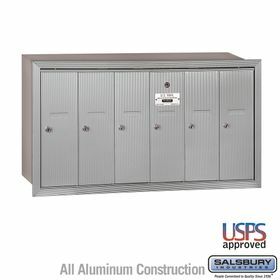 Question: I am looking for Vertical Mailboxes 2 doors. 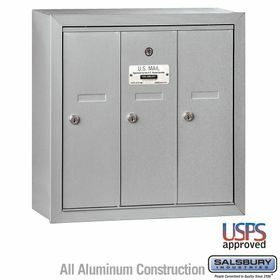 Answer: Unfortunately, there is no 2-door Vertical Mailbox unit. 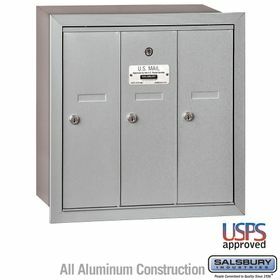 The smallest Vertical Mailboxes have 3 Doors.